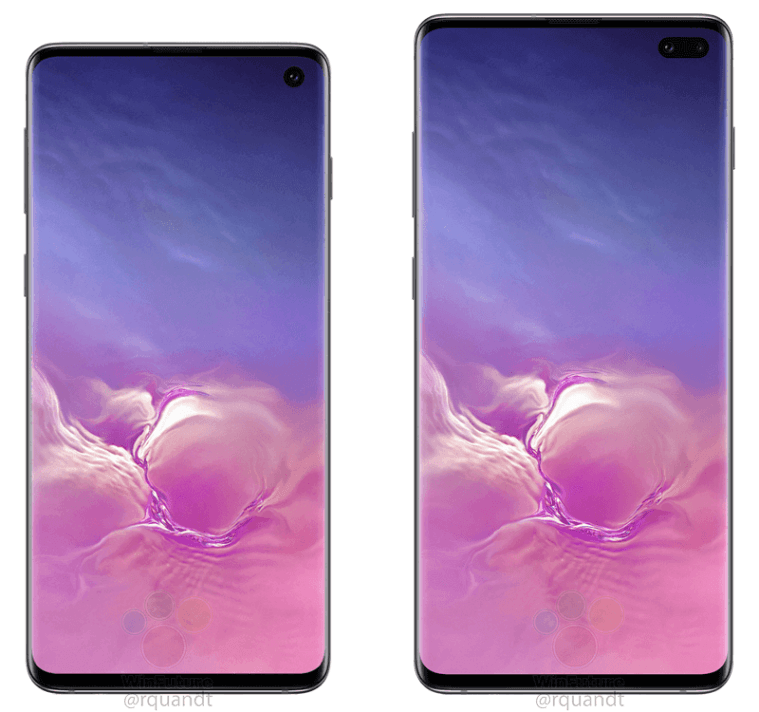 Previous leaks of the Galaxy S10 and S10+ have been somewhat underwhelming. 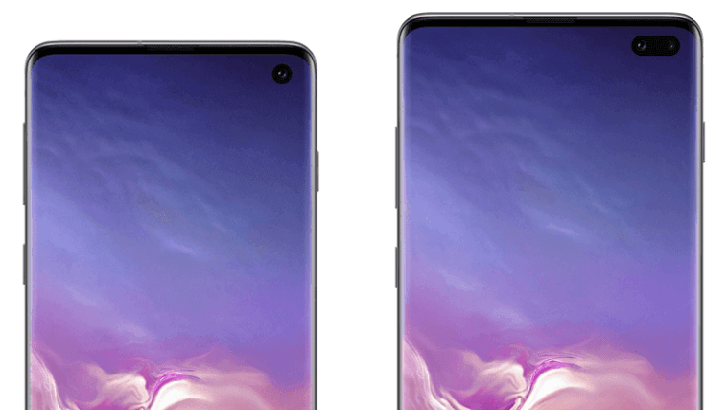 While the S9 and S9+ have minimal bezels and a full 18:9 display, Samsung’s upcoming flagships will still have roughly the same size bezels… but with a camera hole at the top right of the screen. WinFuture and 91mobiles have published press images of both phones, and it looks like Samsung is already trying to hide the camera hole. 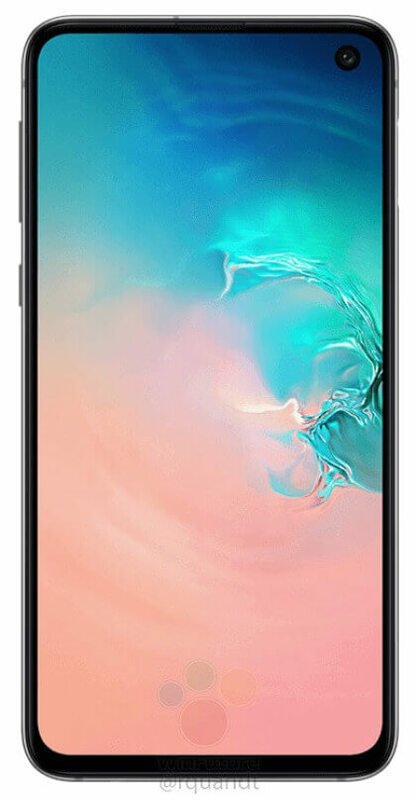 The new renders match all previous leaks — the camera is at the top-right of the screen, there are three cameras on the back, and the fingerprint sensor is now under the screen. 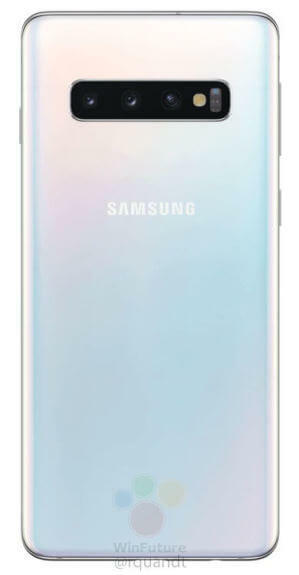 The casing is mostly glass, just like the S9, and the Bixby button is still present. 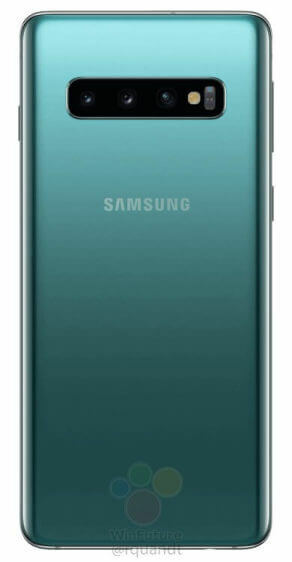 There’s still a headphone jack at the bottom, so Samsung wins some brownie points from me. 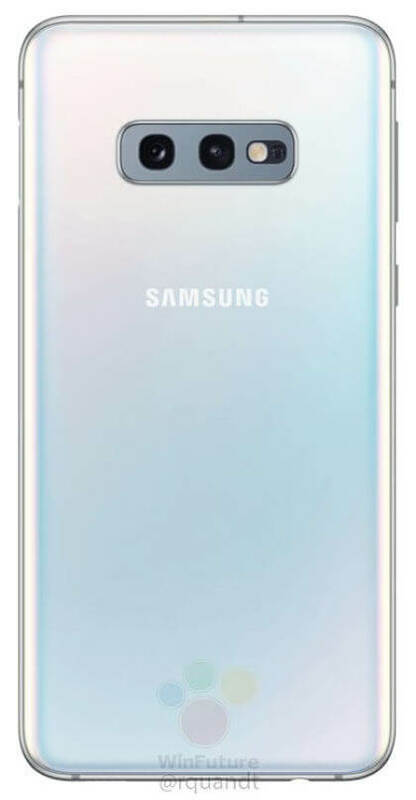 As with most press images for phones with notches/hole-punch cameras, Samsung appears to be obscuring its poor design decisions with a wallpaper that fades to black at the top. The S10 has a single front camera, while the S10+ has two. It’s not clear at this time what the second front camera is used for — perhaps it will be a wide-angle shooter like the Pixel 3’s secondary front lens. The available colors will be black, ‘Prism White,’ and green. A blue version is expected sometime after the initial release. The Galaxy S10 ‘e’ variant will supposedly be available in yellow, but no images of that phone have been leaked so far. WinFuture has released the first renders of the Galaxy S10e, which is intended to be a cheaper alternative to the regular S10. It’s expected to have a smaller 5.8-inch screen, and unlike most of Samsung’s recent flagships, the sides of the device are not curved. The side bezels and chin are more pronounced, compared to the S10/S10+. 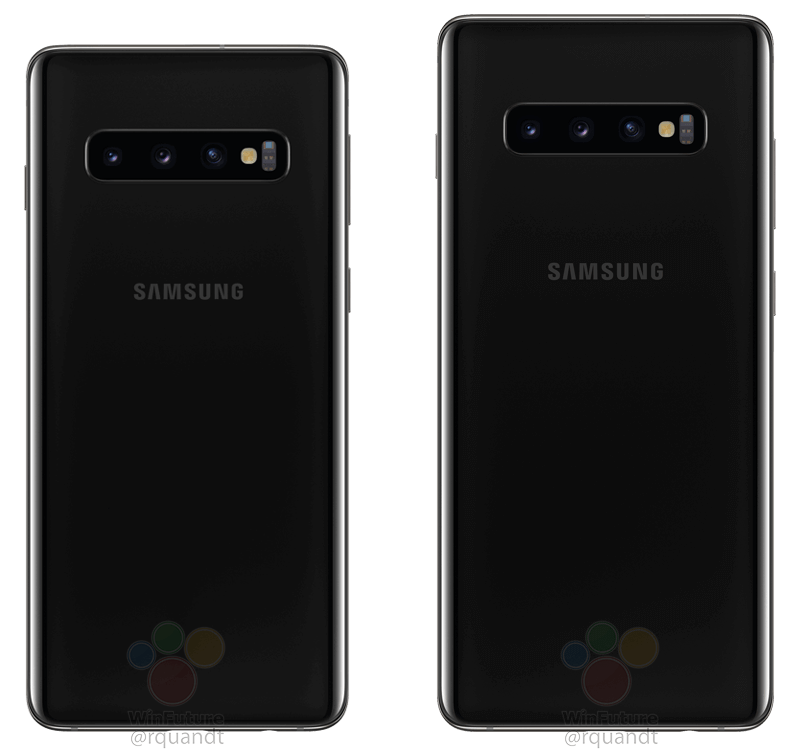 The under-screen fingerprint sensor is missing from the S10e — instead, the sensor is located on the side power button (like older Sony phones). The triple-camera setup on the S10 and S10+ is also missing, as the S10e only has two cameras.